The Los Angeles County Museum of Art just collected their first house. 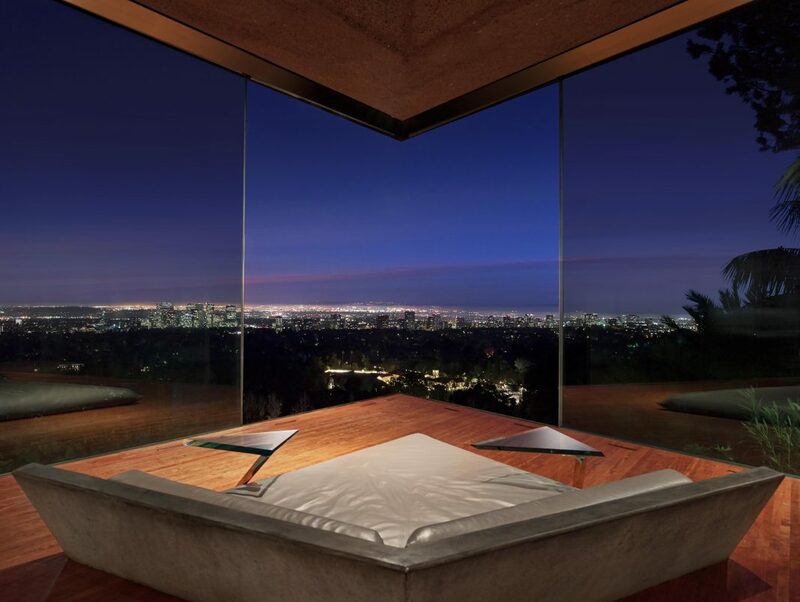 Longtime owner James Goldstein has gifted the 1963 Sheats-Goldstein residence in Beverly Crest, designed by architect John Lautner, to the museum. Maybe you know it as the home of Jackie Treehorn in The Big Lebowski or John Cleese’s character in Charlie’s Angels. The investor/clotheshorse/basketball fan spent 40 years customizing the organic concrete creation with the help of Lautner and associates from his office. Goldstein is including the original architectural model, a James Turrell Skyspace, his 1961 Rolls Royce, artwork by Kenny Scharf and Ed Ruscha, and $17 million for upkeep and maintenance. In 2008, Goldstein donated another Lautner design to the museum, an office interior that was meticulously removed from the 20th floor of a high rise in Century City. Lautner’s archive is at the Getty but now two of his key projects are at LACMA. The architectural legacy of Southern California in the 20th century is largely tied to its stunning but largely invisible residential architecture. In fact, the Getty museum is hosting an international conference this week called Iconic Houses that will visit several key modernist homes that have been preserved as museums and galleries and are open for tours. Some sites offer daily tours and others require quite a bit of advance planning and/or cajoling. Goldstein still lives at his iconic home, but you can get inside the house (or at least the new nightclub wing he calls “Club James”) this Friday for the conference’s closing night cocktail party. Pay a visit and experience the cutting edge futurism of earlier generations.